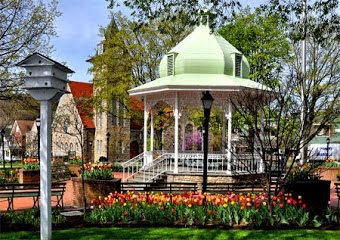 Ligonier Living: Laurel Mountain Quilters...the answer is YES..beginners are welcome. Laurel Mountain Quilters...the answer is YES..beginners are welcome. These ladies are quilting using the traditional method. I am thoroughly impressed that we have this resource here in Ligonier. If you'd like to learn how to quilt in the good old fashioned way, this is your chance. 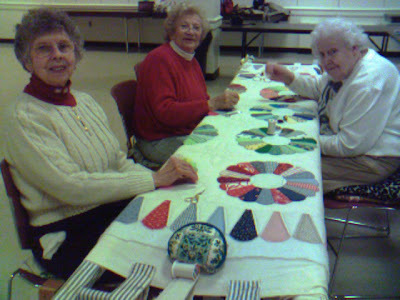 The Laurel Mountain Quilters meet on the first and third Tuesday of the month in the community room of Town Hall. Please call Lena Shirley at 724-537-2205 for more information. Much thanks to Deere Rider for the heads up and yes she is a quilter but she's not in the picture because she ran out to put money in the meter!